Heart Rate – When it comes to fitness, the intensity of your workout depends on what your goals are. Exercising at the correct intensity can help you get the most out of your workout. 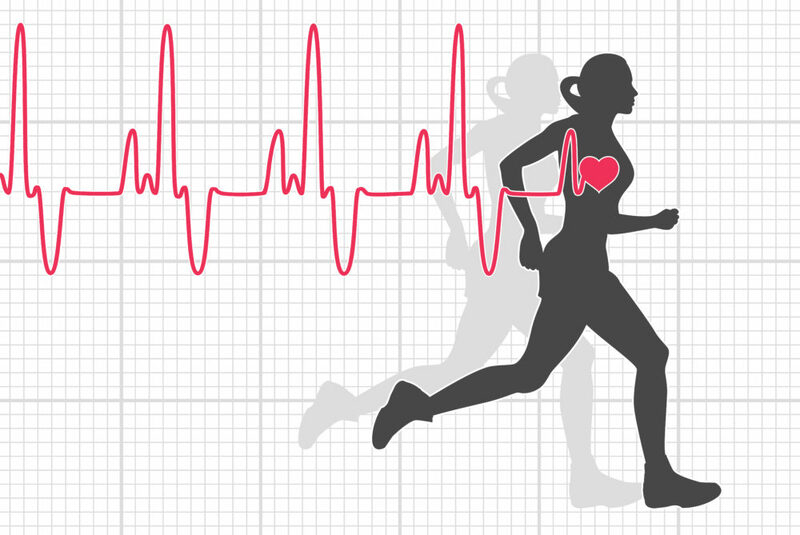 One of the best and most reliable ways to figure out the intensity of your workout is your heart rate. Your heart rate can tell you how effective your training is going when you might be pushing yourself too hard, or not doing enough. But how do you find out what your ideal heart rate is? How hard should you be working out? Aerobic activity: Generally you should get at least 150 minutes a week of moderate aerobic activity, like jogging or swimming. Or you can do 75 minutes a week of vigorous aerobic activity, such as running or aerobic dancing. It’s best to do this over the course of a week. Strength training: Additionally, you should strength train at least twice a week. Consider free weights, weight machines or activities that use your own body weight — such as rock climbing or exercises such as pushups and squats. If your goal is weight loss, you should opt for a more intense or longer workout to burn more calories, but prioritize strength training over cardio. However, it’s important to maintain balance. Overdoing it can increase your risk of soreness, injury and burnout. Start at a light intensity if you’re new to exercising. Gradually build up to a moderate or vigorous intensity. The easiest way to calculate your maximum heart rate is to subtract your age from 220. So if you are 35 years old, subtract 35 from 220 to get a maximum heart rate of 185. Basically this number is he maximum number of times your heart should beat per minute during exercise. In general, the higher your heart rate during physical activity, the higher the exercise intensity. Once you know your ideal heart rate, you will easily be able to tell whether your workout is at the right intensity. In short, heart rate is one of the best ways to determine how effective your workout actually is. By calculating your heart rate, you can see whether your workout is too intense or not intense enough. So figure out your target heart rate and get exercising!